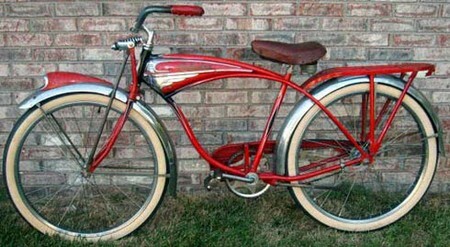 Most of the bicyclers always have a craze towards vintage bike restoring. Doing so one can get a priceless amount of satisfaction. It is not a difficult job to set with. The only thing is that you should have an old bike and a strong will to replace the all old parts with the new ones fitting it exactly. In case if you seem to be having any old bike parked somewhere in your house and not taken for use then you can sure replace some of the parts and can have a joy of riding it as a new one at your own interest. By doing so you get a nice bike to set out for ride and also saving money from spending money more in getting a new one. Replacing the vintage bicycle with new parts can be easily done with the following few steps. At first get a brief knowledge about your bike parts by making a small analysis of study. Know as much you can by various means of gathering information regarding it. Then dismantle the old parts and replace it by the new one. This can be done only when you know or else basic knowledge about the various parts and functions of it correspondingly. Rust is the main factor which spoils mainly the component. Clean the parts in such a way that it looks rust free after cleaning well. Gasoline is the good choice of selection for removing the strain. The rust gets dissolved in it as rubbed with the help of the steal brush. The easy way to get the rust out is by keeping it for some time in the gasoline solution. Then after some time if we rub, the rust goes of very quickly. Reassemble the parts as it gets dried. Bearings are very important in this case. So when you remove and find any bearing missing then replace it with the new one applying grease over it. The bearings are present in various parts such as pedal, pedal sprocket, wheels hubs and in the front fork. Chain is the important part as it helps in the movement of the wheel of the bike acting backwards. Lubricate the chain when it is found to be special tight or struck up with. Also note the chains length and remove the rust in with help of the motor oil. The look of the bike can be brought by the painting factor. It’s better to take to a bike to shop and get painted. Also ensure all the parts which you have removed are replaced or not. Thus these are the tips to be followed for the vintage bicycle.